It was a rough, touchdown-less day in Green Bay for the Seattle Seahawks in week one. Much was revealed about the state of the 2017 squad in their 17–9 loss to the Packers. It was clear from the way the offseason, training camp and the preseason went that the Seahawks were vulnerable at the offensive tackle spots. 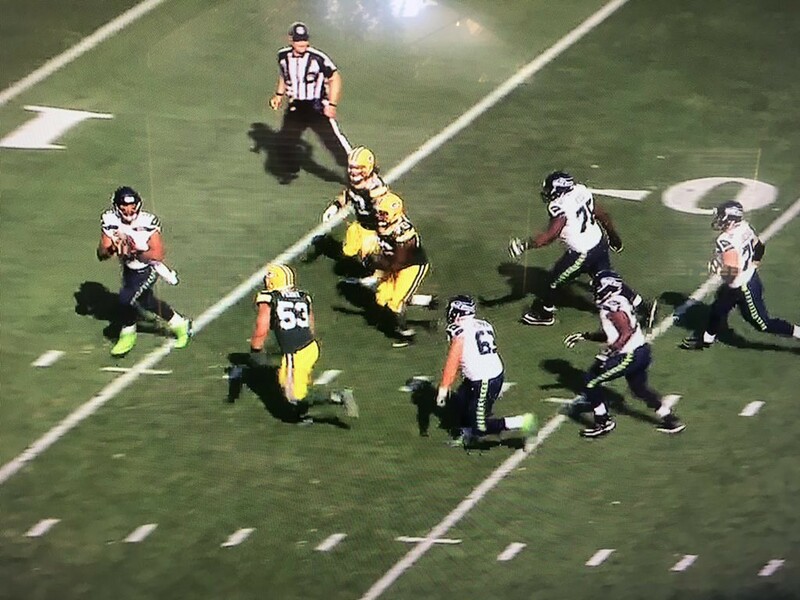 The Packers were apparently paying attention as outside linebacker Nick Perry bulled and beat left tackle Rees Odhiambo twice in three plays, ruining the Seahawks’ first drive of the season. The bigger surprise was that the blue birds’ outside line vulnerability wasn’t the offensive line’s greatest weakness. Instead, the recently minted Justin Britt and his two guard partners (Luke Joeckel and Mark Glowinski) had a terrible time trying to prevent Packers defensive tackle Mike Daniels (1.5 sacks, 5 tackles, 1 forced fumble) from looking like a Hall of Famer. It was an ugly performance by the Seahawks’ offensive line. Pass blocking was largely atrocious. Run blocking was scarcely any better. After starting cornerback Jeremy Lane got himself ejected from the game in the first quarter, the cracks began to appear in the Legion of Boom’s plan to arrest the Aaron Rodgers-led onslaught. Naturally, Rodgers took aim at the young replacements, particularly going after Shaquille Griffin early and then switching it up by repeatedly beating Justin Coleman like a drum. After getting picked on a few times in the first half, Griffin turned in a credible performance by game’s end. While Sherman played pretty well for the most part and Earl Thomas played superbly, notching 11 tackles (except for the Jordy Nelson touchdown pass where he was schooled by perfect route-running coupled with a perfect pass), the rest of the Seahawks pass defenders left much to be desired. Lane will be back for week two. The entire secondary will be one week wiser and won’t face the likes of Aaron Rodgers again all season. The stat the Seahawks hate to see is Russell Wilson leading the team in rushing yards. He managed that feat once again by collecting 40 yards on the ground, narrowly edging out surprise starter rookie Chris Carson, who contributed 39 yards on six carries — most of which came on one 30-yard cutback run. Preferred starter Thomas Rawls was an injury scratch and newcomer Eddie Lacy need not have wondered aloud if he should attempt a Lambeau Leap. Nobody leaps in Lambeau on three total yards from five carries. The Seahawks’ rushing attack needs some work, to put it 3.53-yards-per-carry-ly. Improvements in both execution and volume are in order. A change in personnel (Rawls) may help, but until the offensive line can put together a credible performance through four quarters, defenses will tee off accordingly. To be clear, there was not one good quarter on Sunday. The Seahawks badly lost time of possession (20:47 to 39:13), and only could muster 15 carries from three running backs. Combined with a collective third down conversion percentage of 25 percent (3/12), too much pressure was put on the Seahawks’ defense. It wasn’t all bad. The Seahawks defense held the high-flying Packers offense scoreless through the first half — a real rarity at Lambeau Field. The Packers’ offense was clearly befuddled through the second quarter and into the third, even though they managed both of their touchdowns in the third stanza. The Seahawks found success feeding Doug Baldwin in the second half — a strategy they will be sure to rely on more in week two at home against the San Francisco 49ers. Tight end Jimmy Graham was targeted a few times, but held mostly in check (again) by Packers safety Morgan Burnett. This being the second consecutive exhibition of Burnett effectively holding down Graham, opponents now have a provable strategy for stopping what should be Wilson’s most reliable weapon. Speaking of tight ends, the Seahawks’ well-known bugaboo of having a difficult time covering tight ends ultimately doomed the Seahawks in the end. After holding the Packers’ three tight ends to four catches for 35 yards for the first 57 minutes of the game, they left Martellus Bennett alone on a drag route just before the two-minute warning. The result was a 26-yard reception that iced the game. Rookie defensive tackle Nazair Jones has some wheels and exciting athleticism. His first-quarter pickoff of Aaron Rodgers was a thing of beauty. Earl Thomas is back. Richard Sherman is as good as ever. The Packers’ running game went nowhere for most of the game, thanks to stout front seven play — until the defense was worn down late in the game. The Packers’ leading rusher, Ty Montgomery, averaged only 2.84 yards per carry on 19 attempts. Four sacks on the elusive Aaron Rodgers is well above average. New kicker Blair Walsh was perfect, providing all of the Seahawks’ points by going three for three on attempts. Punter Jon Ryan held the Packers in check early on, tilting the field position throughout the first half completely in favor of the Seahawks. The above play on video (via Aaron Nagler’s Twitter feed). 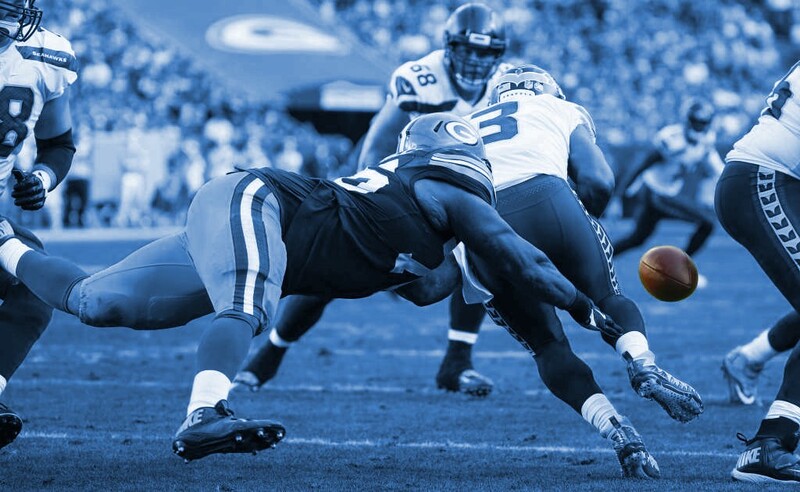 Ultimately, the Seahawks were not outclassed in Green Bay. The pre-game hype of this matchup being a likely playoff preview is still as true post-game. Having lost in this tough setting, however, it does increase the likelihood that any playoff rematch will more than likely take place in a much colder version of this same setting. To get there, the Seahawks are going to have to fix the weaknesses just identified in week one. Easier said than oh-and-one. Earlier versions of this article also appeared in Oregon Sports News, the Seattle PI and Yardbarker.